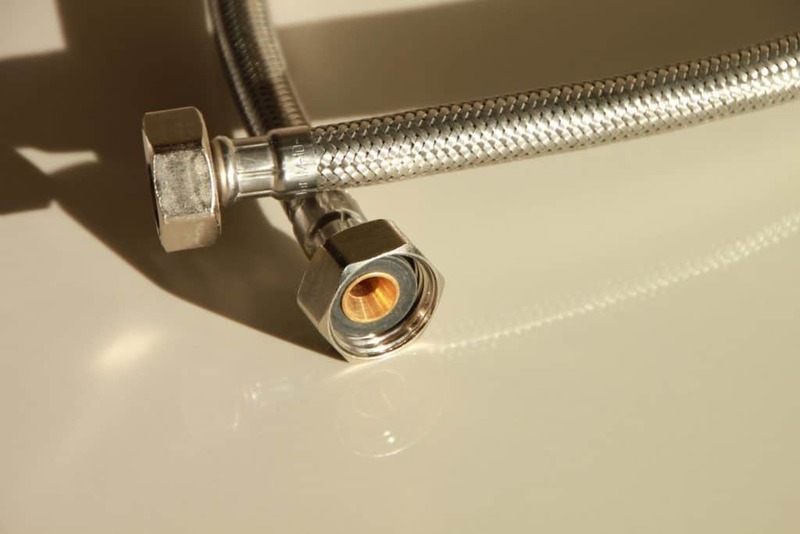 Flexible water hoses are a stainless steel fabricated hose used to hook water to taps and fixtures. In recent year, they have replaced the standard copper pipe installation from the wall outlet to the taps under sinks, basins and tubs. All tapware – whether mixer taps or hob mounted include flexible hoses as part of their hardware. The hoses are also used on toilets as well and are used to replace the copper pipe connecting water from the stop tap to the cistern. According to a leading Australian insurer, flexible braided hoses accounted for more than one in five water damage claims lodged by Australian households in 2016. Commonly known as a flexi hose, these versatile rubber pipes armoured in braided layers of stainless steel, are popular in modern home fit-outs because they can be bent into shape. They started to come onto the market about 15 years ago, and their use is now extremely widespread in contemporary residential construction and renovation. Recent research findings suggest that they can potentially become a “ticking time tomb” under the sink. A decade after a house is built, the risk that a pipe will burst, flooding a home, increases significantly, with the majority of incidents arising from the owners of properties that were built between 11 and 30 years ago. Flexible hoses are of course a great product. They make a plumber’s life easier when fitting off, however, if they do burst, you will be left with a flood of destruction in your house. Most braided hoses available today came with a 10-year warranty, but many installed over the past decade only have five-year warranties and might now be close to bursting. Things to look out for include bulging or rust spots on the braided metal and most flexi hoses will have an expiry date printed on the collar of the hose. Another solution is to install a flood stop isolating valve. These valves limit water leakage to less than half a cup of water, which, when you consider that water through an unregulated half inch pipe flows between 20-25L per minute, is incredibly minimal. If you were to go away on a Friday afternoon and come back on a Sunday and a hose burst occurred just after you left, that’s 48 hours of water flowing at 20L per minute. If you do the maths, that’s 56,000L of water…. If you are reliant on rainwater for your water supply, this is potentially a very big dent in your storage reserve. The damage caused by a leaking flexible hose can be expensive and you could incur a large insurance claim. If you go away on holiday, consider turning off the water to the flexible hoses to ensure you don’t come home to a nasty surprise, because not only will you have to deal with the damage and put in an insurance claim (plus the inconvenience of repairs), you might also have an empty tank that will need expensive water carted in to fill it back up.